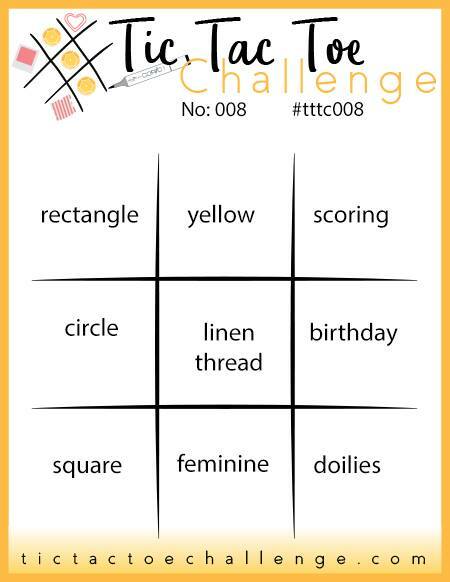 At first, I focused in on the doily, but then my mind whirled the back-to-school idea around, and I shuffled over to the left row: rectangle, circle (doily), and square. I picked up a set of adorable mini pennant punches on my recent trip and really wanted to try them out. They were easy to use and I know I'll incorporate more teeny tiny banners in the near future! Here's the inside of my card. 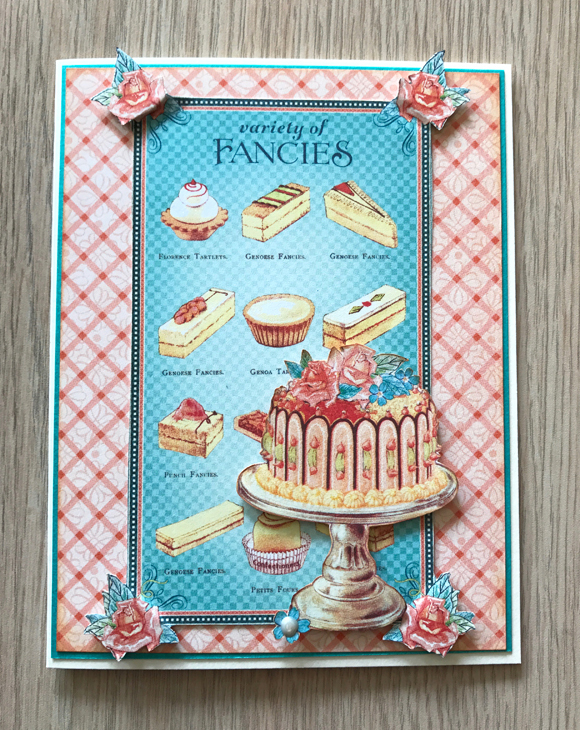 Both sentiments came from a couple of my old Fresh Squeezed Stamps sets -- oldies but goodies! 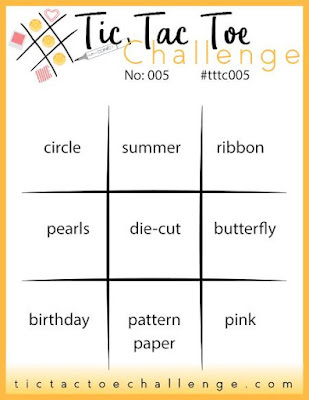 Be sure to click on over to the Tic Tac Toe Challenge blog and see even more inspiration from my Team O pals. Link your card to this week's challenge and see if you become a Designer's Choice or Team Pick - then grab a badge! What did the crafter say to her tape runner? Bond, just bond! 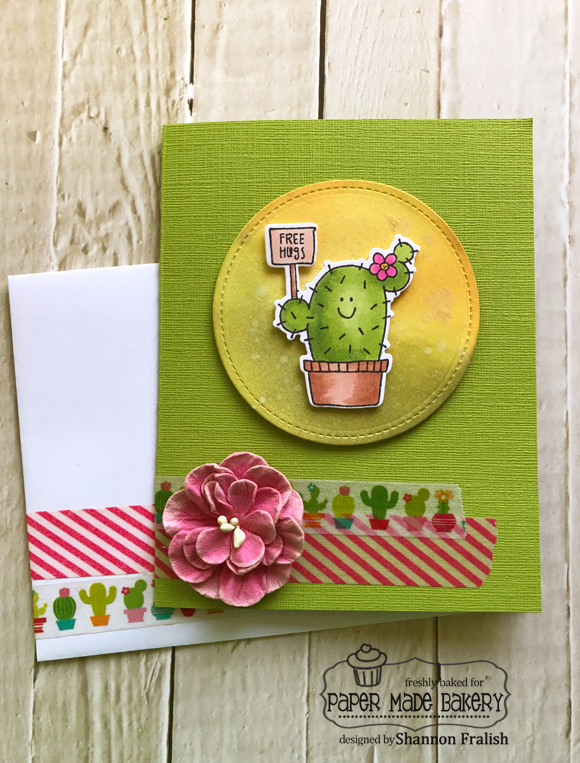 Thank goodness my adhesives were checked and cleared for maximum security because I would't want this little cactus taking a tumble -- ouch! 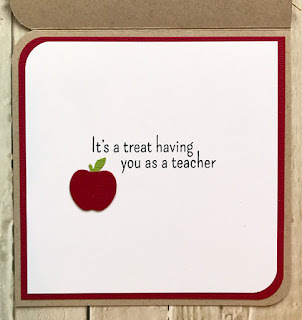 I love that after I pick a row and get my thoughts and ideas all sorted out, my supplies lined up in front of me, and start stamping, cutting, gluing, etc., I discover that my finished card incorporates several other elements from the inspiration board, as well. 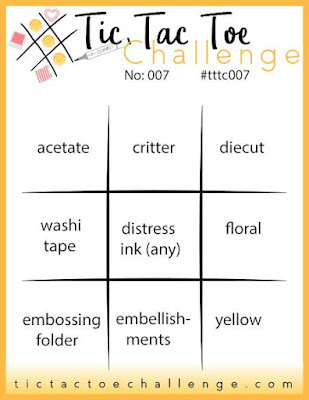 This week I used the center row across: washi tape, Distress Ink, and floral. 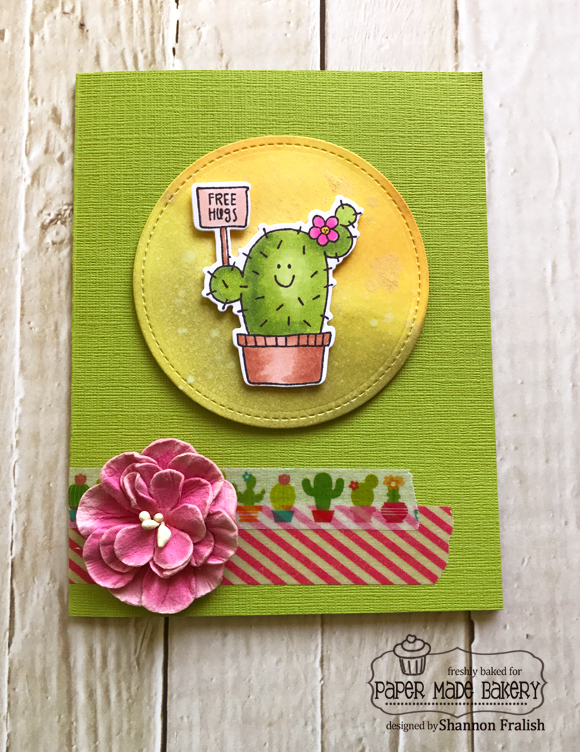 This was my first official use of Distress Oxide inks and I had a blast! Now this sample is very low-key and likely not very exciting to all you Tim Holtz fans, but I loved how buttery those inks moved on my paper! I spritzed a little water and then got all dramatic and tried some Perfect Pearls Mists in Sunflower Sparkle. This photo doesn't do justice to the pretty golden splotches, but trust me, it's cool. I visited my hometown last week and stopped in at Paper Garden Boutique in Sacramento, where my girlfriend and I snatched up several rolls of washi tape. 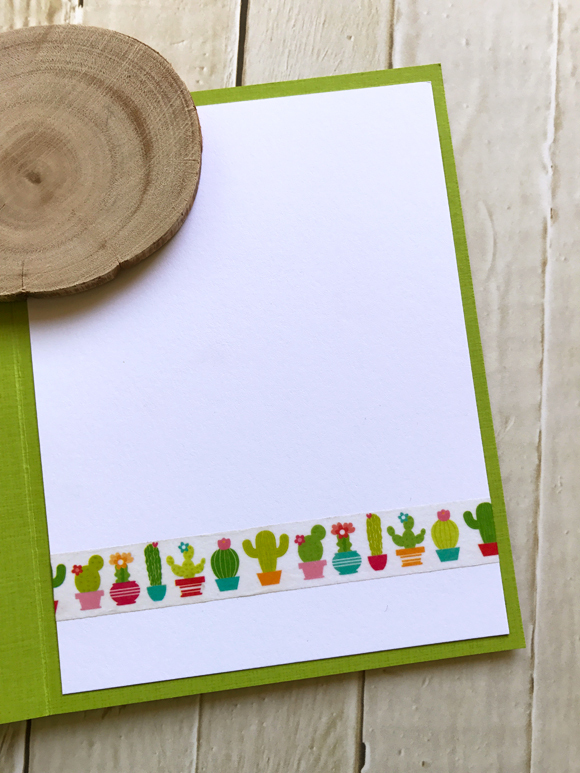 You just never know when you're going to need some washi tape with cactus on it, right? WEEELLLLL, here ya' go! What's that new storybook called, "If You Give a Girl Some Washi..."? A little is good, but more is better! 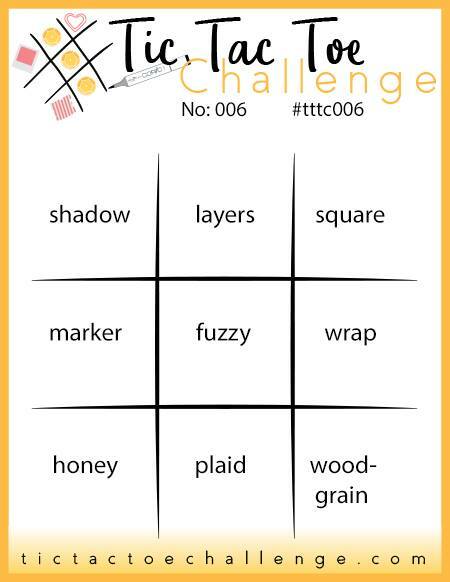 Hi there -- I'm buzzing by to share my creation for this week's Tic Tac Toe Challenge and I'm pleased as punch to be this week's featured designer! 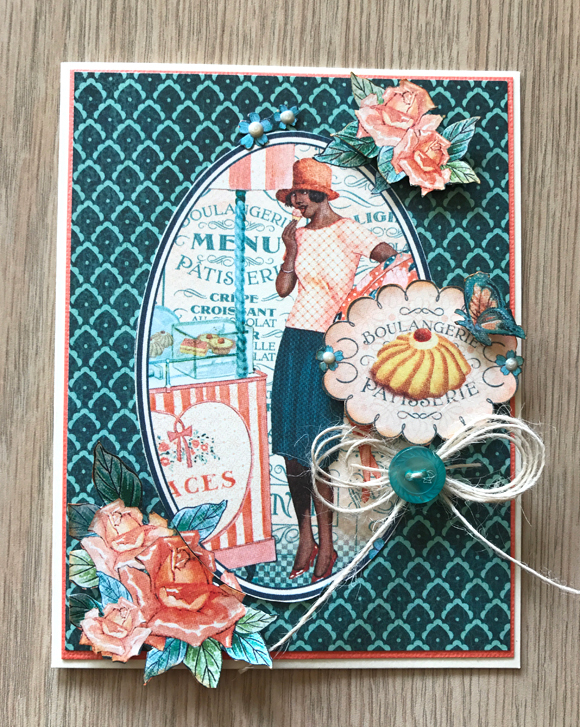 The layout for this card was inspired by Sheri Gilson over at Verve Stamps. 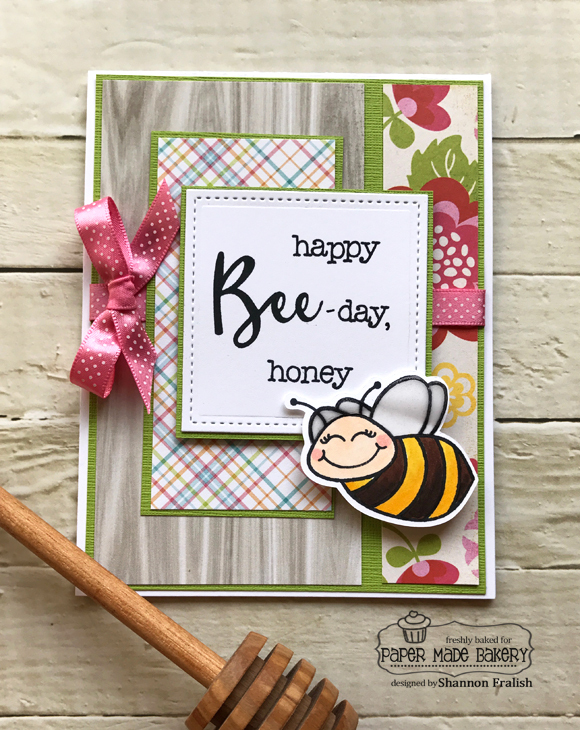 I've been itching to use the Build-a-Bee and Bee-you-tiful Sentiments stamp sets by Honey Bee Stamps, and this was the perfect opportunity! I've been having a blast checking out everyone's entries in these weekly challenges. It really seems like folks are having fun with them. 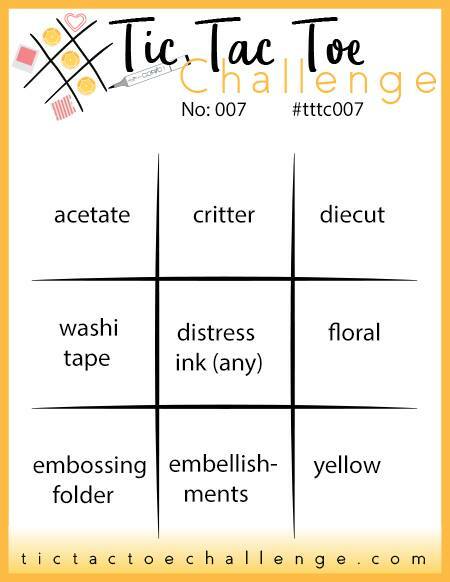 I hope you'll stretch your creativity and give it a try this week. I'll be looking for yours! 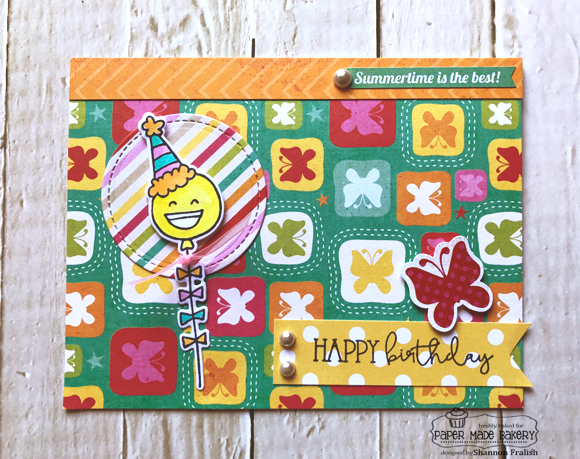 I'm so enamored with Echo Park's Summer Bliss line that I had to use my leftovers to create this card because I was going for it -- ALL nine elements! Mr. Balloon has a bit of sheer pink ribbon around his neck, all set for a summertime birthday party. 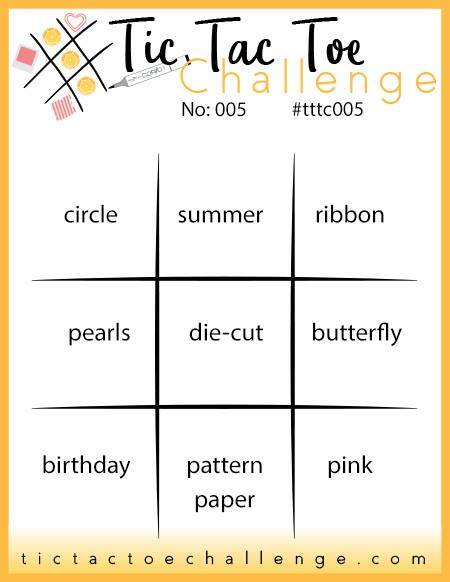 I really enjoyed the challenge of using all nine elements, and it wasn't too difficult to accomplish. Being off work for a bit each summer usually gives me just enough time to travel somewhere and rush to get done a few of those tasks I've put off the rest of the year. This year I didn't plan any vacations, so I'm really feeling like I have more time, which is a very strange feeling, indeed! However, it's been wonderful for my creative spirit, as I've had lots of extra time in my craft room, as well as to pore over the loads of emails from manufacturers showcasing their new holiday goodies. I even got to pop into a LSS Friday evening and just hang out with other crafty folks, which was an inspiring treat! Would anyone else want to make these cards?! I hope so because I'm putting together a workshop very soon, so watch our CLASSES tab above for dates, times, and locations. I also got a sneak peek at Simple Stories brand new Christmas line called Very Merry. 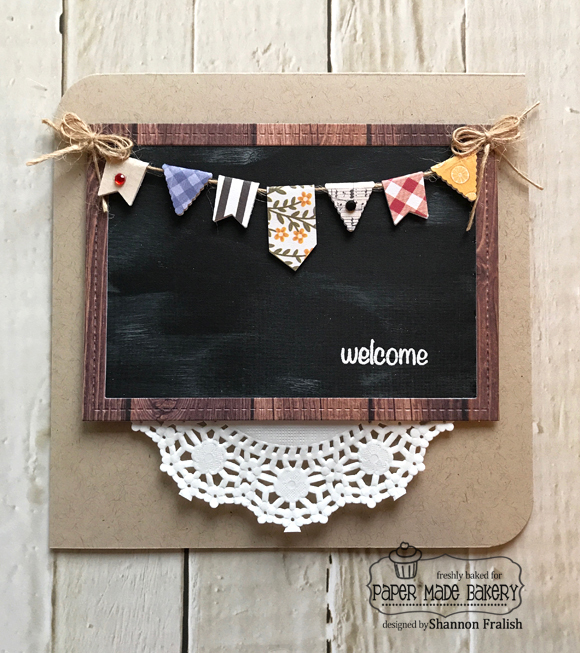 While I can't show you any photos of the line just yet, I'll describe it as rustic farmhouse meets hometown holidays with a touch of brush script thrown in for a modern touch. I'm creating a new Christmas pocket album workshop this fall using Very Merry and I'll keep you posted in the coming weeks. 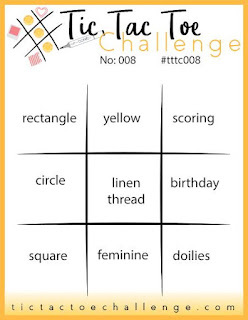 Don't forget to join me over at the Tic Tac Toe Challenge blog. That's where I'll be for my weekly dose of outstanding inspiration!